Manufacturer of a wide range of products which include plastic filter nozzles for petrochemicals industry. 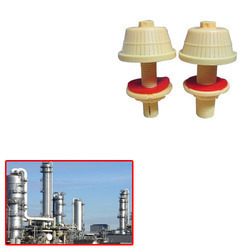 We are offering wide range of Plastic Filter Nozzles for Petrochemicals Industry. The offered nozzles are designed by our workforce using quality plastics, in compliance with international quality parameters. The offered nozzle can be customized in variegated options to choose from. Looking for Plastic Filter Nozzles for WTP & ETP ?